the Mudcrab wants to share the deck with which it has reached #19 legend today. If you are annoyed from playing boring "Hit the face-catapult" or brain dead Conscription (Mudcrab got angry over this one) decks, this is the deck for you, fun versatile and successfull. The main concept of the deck is to control the board, set up your slay combos, take up the advantage and finish the game. This deck has the opportunity to finish your enemy in many different ways, be it a board full of Morag Tong Aspirants, fed "I get +Attack for killing poor 0/1 targets ", breakthrough Unstoppable Rage, or crazy Child of Hircine combos. Torval Extortionist: Midrange Pressure and extra mana - nice! Unstoppable Rage: Obvious game breaker and finisher for breakthrough and slay creatures that exist more than 1 round, can also be used with cheap creatures in the same round to fill the board with Morag Tong Apirants or remove everything with a lethal creature. Have fun playing and slay some creature for the Angry Mudcrab! 4 losses in row with no victory... I don't think the system works sir. 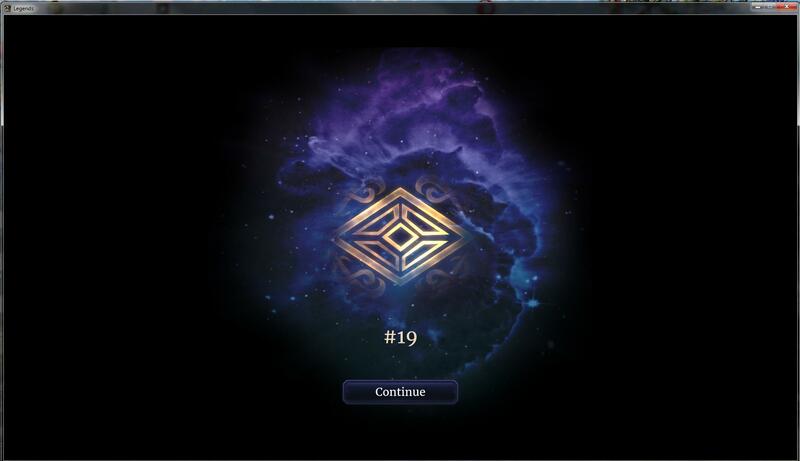 Well I’m at Rank 4 and around 60% winrate. It’s a great deck but requires planning and patience. Most losses I had came because of awkward starting hands which I feel this deck can suffer from. Aggro is always a difficult matchup, and Tribunal control but this deck demolishes anything midrangy. Won my first game that got me to rank 4 and lost the next 6 back to back. 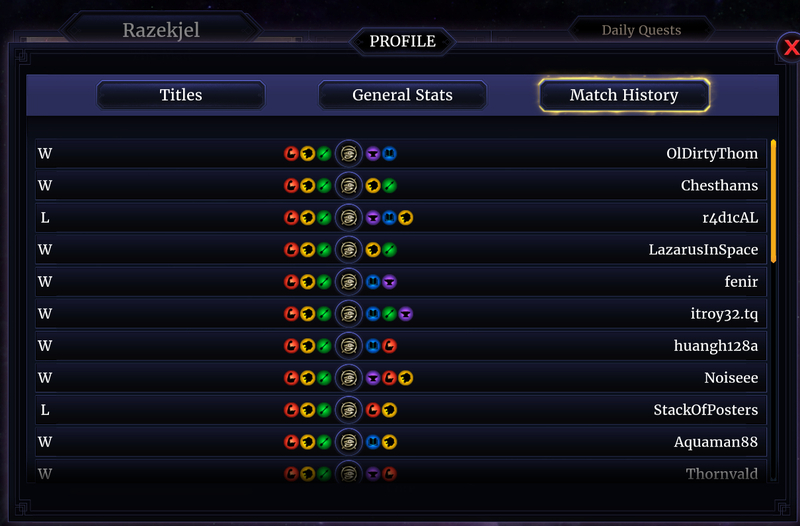 This deck left me with a bad mulligan phase in all 7 games (opponents were all different archtypes). Getting control early on is very hard. I mean I had lots of bad luck in most of the games but if you have bad luck in 5 games back to back it might not just be luck alone. The deck itself is pretty fun only when it goes off though it only happened once for me. It's too inconsistent in my opinion. Rage Dagoth: Didn't even need to use the Rage, also I removed all of his Giants with my javelins and casts into time and still lost. Heavy control really is a problem, but I dont have this problems against midrage and most aggressive decks. Its mostly how to use your early options, to either put a little pressure on the enemy or, remove what they havee. Often you have to wait for some combos to remove some creatures together, but this requires some exercise with the deck. Beautiful deck! Super versatile, can be played agro/mid/control/combo - absolutely love it! Deck is an absolute blast to pilot mate. I’m a huge fan of slay decks and play them in a number of diff archetypes - this one is a lot of fun. I added Thieves Guild Recruit b/c I was missing full sets of a few cards and thought a little early draw would help. I don’t have Dawnbreaker, but did open Umbra in a pack. It has great synergies w/ slay. Added it to a Cloudrest Illunsionist, then sweet-rolled a token. Hit the sweetroll on my next turn and my 7/8 Cloudrest wrecked havoc for two more turns. Dropped a Hircine and opponent conceded w/ 26 health left. I was just getting warmed up! Hey, nice to hear that you like it! Looks so fun, and I recently got really interested in slay archer so this will fit nicely!